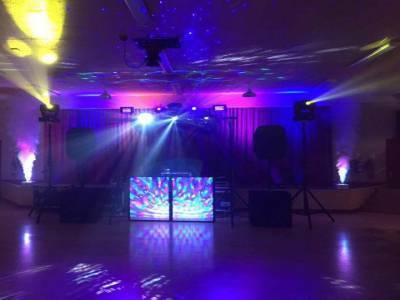 Ice Blue Entertainments are a family run, full time professional business and have provided high quality, affordable mobile discos for weddings, corporate events, birthdays and all types of parties for many years. 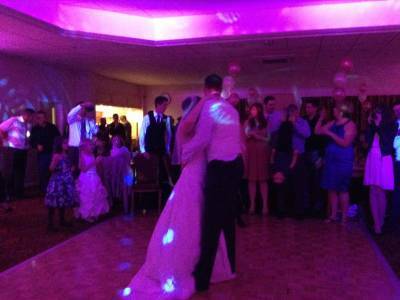 We know the search for a suitable mobile disco can be a time-consuming and confusing one, but now you have found us you and your guests can relax and enjoy your celebration. 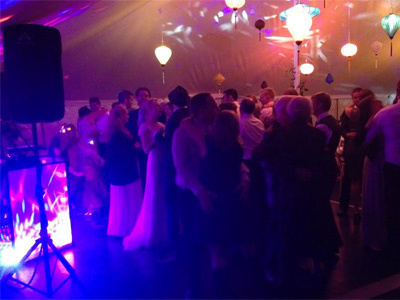 Ice Blue Entertainments are an experienced company who will work with you to help ensure you receive a mobile disco perfectly customised to suit your event. We can provide you with everything you need to help ensure your event runs perfectly. When you book with us you not only get an experienced DJ, you also gain access to the many genres of music we can supply. As music is the key to any event, we will work closely with you to get it right. It's your function, so you tell us what you want to hear. Required by many venues, Ice Blue Mobile Entertainments has a current PLI policy with National Association of Disc Jockeys in the amount of £10 million. Also required by many venues, Ice Blue Mobile Entertainments has supplied satisfactory evidence of holding current PAT inspections of their equipment dated within the last 12 months. A Method Statement outlining Ice Blue Mobile Entertainments&apos; Health & Safety procedure for setting up disco equipment has been provided. Ice Blue Mobile Entertainments has provided Risk Assessments undertaken at events sourced via needadisco.com, indicating that they can undertake these competently. Why do people choose to book Ice Blue Mobile Entertainments? "Our 2nd time using Ice Blue and they were excellent yet again. We asked for a UV night and a UV night we got, great lighting and perfect pop music that we requested. Highly recommend Nigel and Alison." "These guys are really great! Spent a lot of time working out exactly what we required and then fitted the brief perfectly! Really nice people. I recommend them without hesitation!" "Excellent and smooth service with very kind and considerate staff. Friendly and went beyond. Would use again without a doubt. Thank you!!" 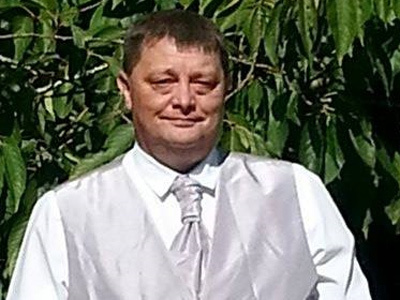 "Nigel and Alison worked really hard to make sure all of our song requests were used, we upgraded to have them supply the music for the whole day which went really well. " "Have nothing but praise for the presentation and the quality of the entertainment given throughout the evening and event. Many thanks and have no hesitation in recommending them to anybody "
"Fantastic from start to finish and beyond. Helpful with more than just doing the disco. Nothing was too much trouble for them. I would recommend them to anyone"
"Ice Blue Mobile Entertainments were the most local to me and they new the venue very well and could accommodate me with exactly what I needed at short notice. Everybody had a brilliant time and I can recommend this professional set up to anybody as they made our little party great. Thank you for sending me all the details of available DJ's I felt spoiled for choice, so decided to go with the most local artists to me as I was able to meet up personally with them and discuss what I wanted. I will gladly use your site again in the future if I need a disco and I will pass it on to people I know. Thank you." "The event was everything I could have dreamed of. They worked with me all the way, we're so helpful and polite. They provided balloons and wonderful lighting, making the hall look magical. Music was exactly as I had requested, only better. They were such a great choice." "We had a great evening and the Iced Blue team provided a great atmosphere for the event . They made an excellent impression on my guests to the point that a friend booked them for another big party"
"Very friendly and professional highly recommend"
"Excellent communications by Ice Blue made the event just what we wanted with an excellent choice of music and special effects lighting to blend in with the colour scheme, which was all professionally organised and presented to make a perfect evening." Ice Blue Mobile Entertainments also offers a range of additional party services not directly linked to musical entertainment. Please note that needadisco.com has no editorial control over these images which are stored on flickr.com. If you have any concerns about what you see below, for example potential copyright infringement or unsuitable content, you should take this up with Ice Blue Mobile Entertainments directly using the Contact section below, or else you may alert flickr.com directly quoting "set number 72157651278514571". If you are contacting Ice Blue Mobile Entertainments about an event, it's always a good idea to include the DATE, LOCATION, EVENT TYPE, AGE GROUP and TIMINGS to speed things up!